This may be your go-to, low-impact exercise machine, but there are tons of ways to amp up your elliptical workout. The elliptical machine is a gym-floor favorite. It’s easy to use, low impact on the joints, and efficient (it targets both the upper and lower body). You can control the amount of resistance and interval level, all while keeping an eye on your heart rate. This means that your elliptical workout can be as simple, or as challenging, as you see fit. Check out our elliptical workouts in the Aaptiv app today. 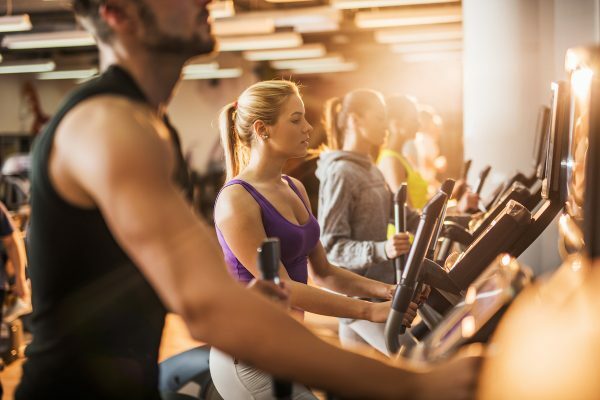 If you’re looking to amp up the calorie-torching during your time on the elliptical, we asked trainers for their keys to burn more calories on the elliptical. All fitness experts agree that the number one way to get more out of your elliptical exercise is to add in some interval training. It’s simple: Start by increasing and decreasing the resistance every other minute. “Working at a hard resistance for one minute, and returning to a recovery resistance for one minute, or working toward a longer hard resistance and shorter recovery period, is a great way to spike heart rate (this is our favorite tracker) and burn more calories in a shorter time,” says Ross Steiner, personal trainer and founder of Steiner Strength Personal Training in San Francisco, California. The best part about interval training is that it can cut your workout time in half, as it is similar to sprinting rather than jogging. Not a fan of interval training? 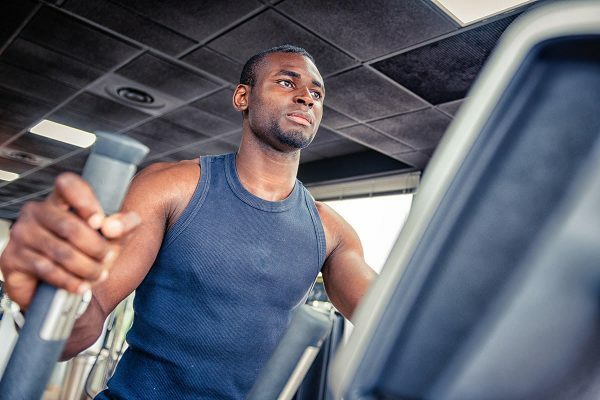 You can still burn more calories on the elliptical by upping your resistance and incline levels. Doing so allows you to naturally recruit different muscle fibers during your cardio training, according to Brooke Taylor, fitness instructor and creator of TFIGNITE PROGRAM and Taylored Fitness. “By elevating the incline, you activate the glutes and hamstrings a little deeper, working the extension of the hip,” she says. The elliptical requires the most movement from your lower body, though some machines incorporate hand motions to move the rails forward. It can be easy to ignore the upper body during your workout. Try not to do this, as experts say that the workout becomes more challenging when you incorporate both. “Try intervals going back and forth between more pushing with the arms and then more with the legs,” suggests Mike Deibler, founder and owner of San Diego Premier Training in Carlsbad, California. 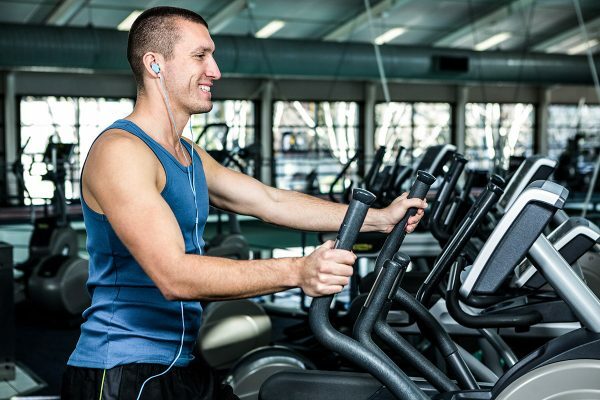 It’s most popular, and most comfortable, to conduct a forward motion when working out on the elliptical. However, you might burn more calories on the elliptical by reversing your motion. “Moving backward is a great way to change up the muscles being worked. Since it is new to your body, it will lead to more energy expenditure,” explains Deibler. To perform this workout, simply start moving backward with the pedals and go. “This can be for the entire workout. Or you can alternate between forward and backward in an interval fashion,” he adds. This type of training on the elliptical still burns a lot of calories but is ideal for those trying to take it easy on their muscles and joints. “LSD (Long Slow Distance) is working at a slow pace for long durations, in order to increase aerobic endurance,” explains Steiner. “The elliptical, with strength and stability exercises, will protect the joints and reduce the risk of injury, while still improving endurance.” Hook up your favorite Netflix show, hop on the elliptical, and just sweat! It can be tempting to hold, or even lean, on the handles that are right in front of you as you workout on the elliptical. However, according to experts, this may reduce the efficiency of your workout. “Take your hands completely off the handles for an increase in core and stability challenge,” says Deibler. He recommends performing the elliptical as normal. Instead of holding the handles, pumping the arms, as if you were running. You can also find creative ways to add lower body intensity. For example, Deibler recommends bending your knees more and squatting down while continuing your basic movement. “This will dramatically increase the intensity on the legs, specifically the quadriceps,” he says. Aaptiv has strength training, cardio, and elliptical workouts in the app. Make sure you check out the newest releases here. Elliptical workouts can save your aching knees—here's how.